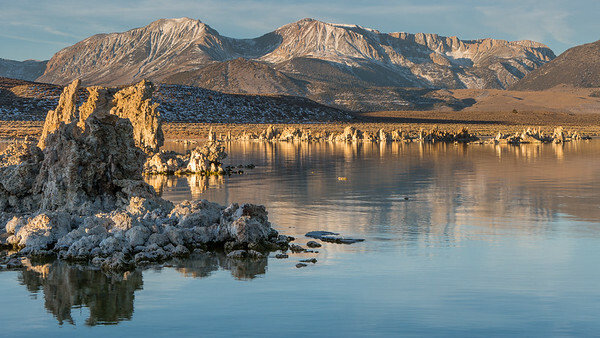 Mono Lake, AUG 2014 Awards: Special Recognition, Light, Space and Time Online Gallery Landscape Competition, April 2015 Traveling along the west side of the Mono Lake, on Highway 395, you pass Picnic Grounds Road. 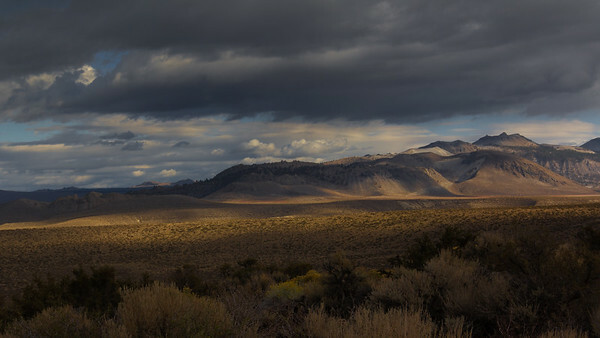 This road takes you to a parking lot which is the trailhead for the Mono Lake Trail – a trail that takes you to the Visitor Center atop the hill. 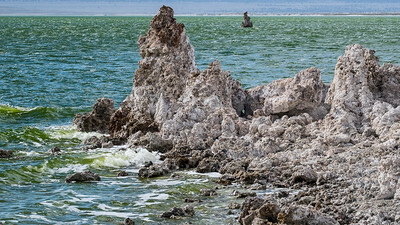 As you look across the lake, you can see some Tufa. 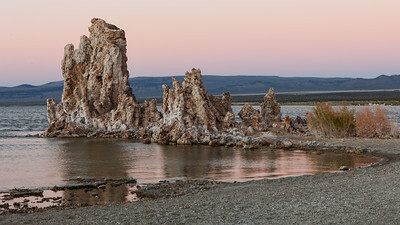 But at lakeside, you see mounds of rock that look much like tufa. These rocks that dot the shoreline are actually pumice boulders. 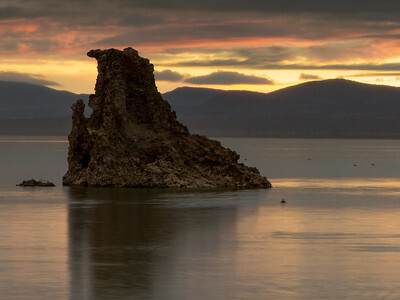 They were set aloft by the nearby volcanoes and found a spot in the lake. Pumice is volcanic rock mixed with a lot of air. In fact, so much air that pumice will float. So these boulders probably floated around for a while until they got water logged, sank and became embedded in the mud. 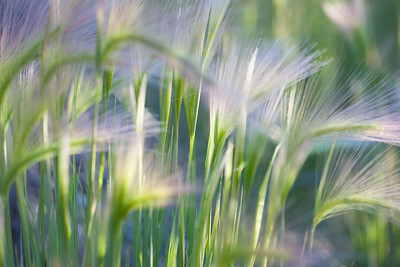 As summer reaches its peak, many of the grasses and wildflowers reach the peak of their color. I decided to explore the pumice fields at the Picnic Grounds Road area just to see what it may look like at sunrise. 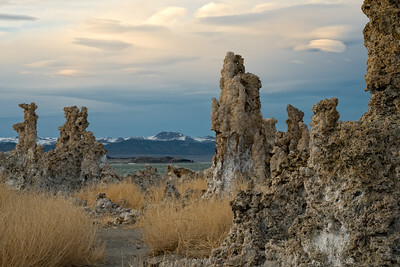 As I was exploring, I came across this patch of grass among the pumice with tufa and mountains in the background. I could see where the sun would rise. 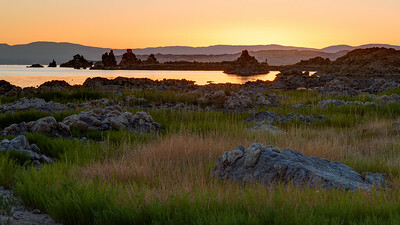 So, I set up my composition, and waited for the sunrise. I was not disappointed.